Hello! 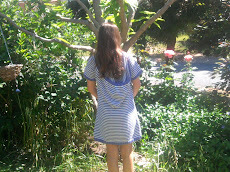 I know, long time, no blogging! I'm not sure exactly why. I've had some health problems which made me fee a bit down, but I'm now on some new medication for my rheumatoid and I'm hopeful this will help. My garden has been busy blooming, regardless of how I feel, which is always wonderful! I just love this rose. Beautiful! 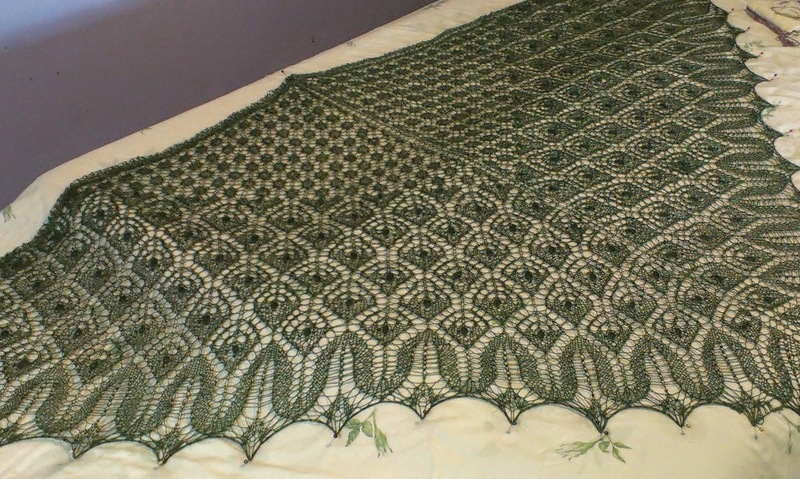 I finished the green triangular shawl in alpaca cascade./www.ravelry.com/projects/faeryfay/snowflakes-and-flowers. 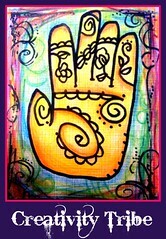 This is a lovely pattern by Sandra Alice which was not too hard. 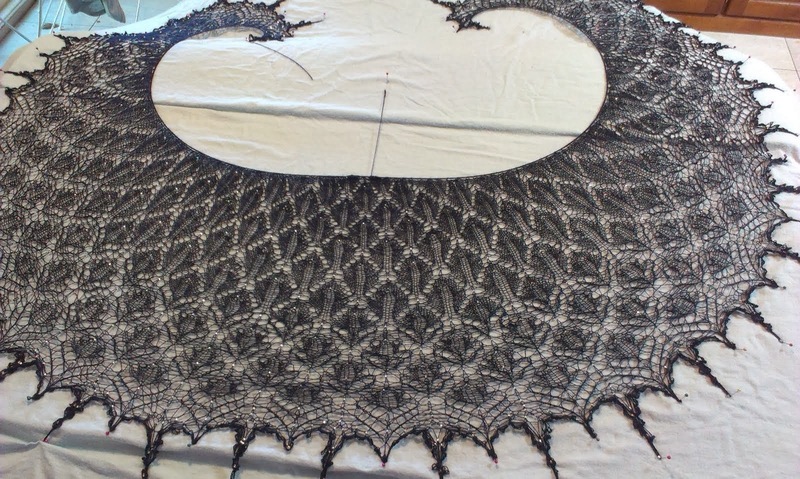 It has three different lace forms. I love it. Finally, this is what I'm working on right now. 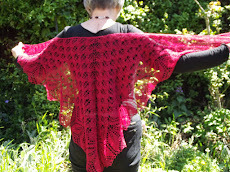 It is the www.craftsy.com/ "Crazy Lace Cardigan" with Myra Wood. I'm totally loving it! I'm also loving the yarn! Poems sock in "girlie girl". This is the second course I've done at Craftsy.com. It is really great as I watch the classes as I knit! 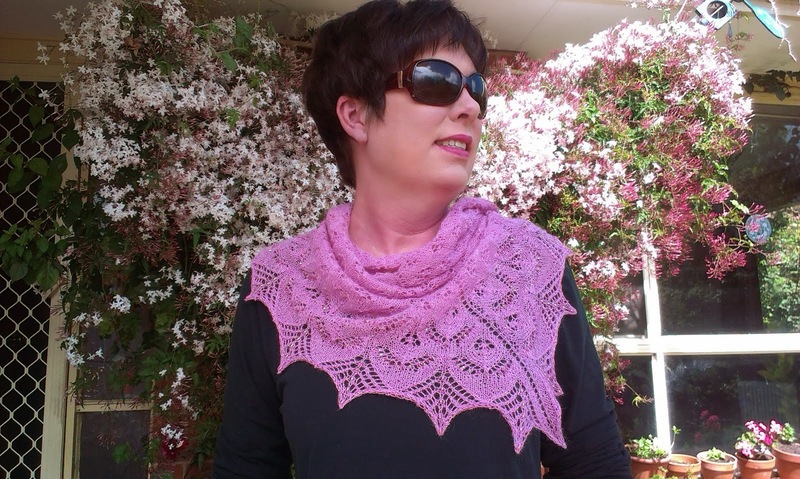 Lovely shawl. 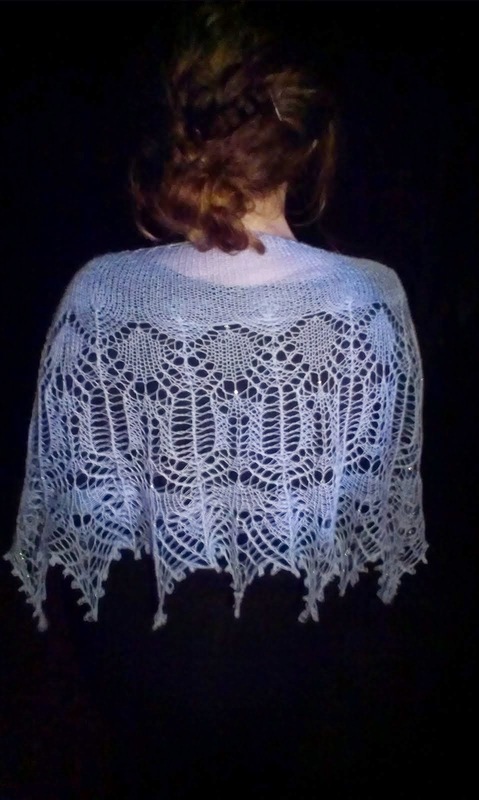 I have been thinking about that Crazy Lace Cardigan course too. Yours is looking great! What other course did you take? 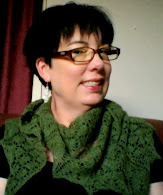 I amloving the Crazy Lace course! 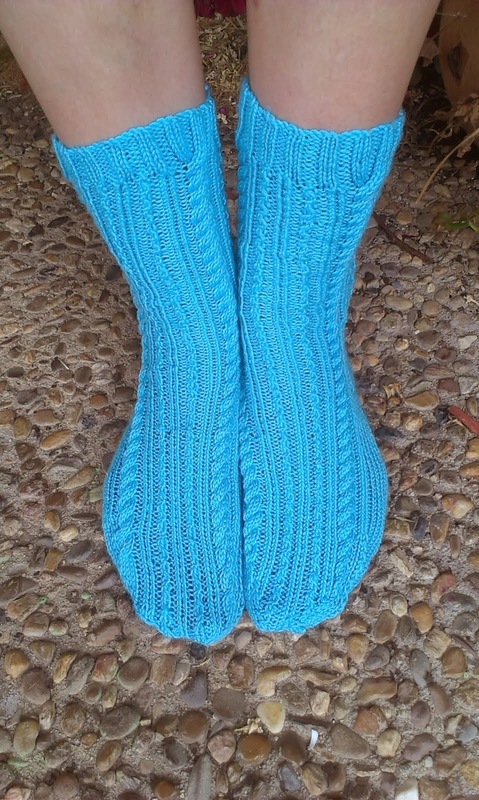 The other one I did was Fit your Knits with Stephanie Japel. That course was also fabulous and I learned a lot from it! Lots of fun! 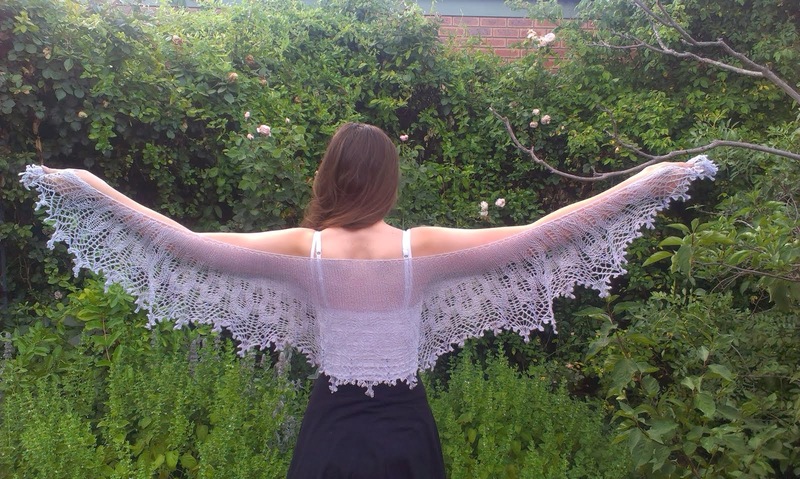 This alpaca shawl is gorgeous, Faeryfay, I'm literally drooling onto the keyboard. And the crazy cardi sounds like such a lot of fun! So glad you are feeling a bit better. Your shawl is amazing, such a beautiful color.